Roland Institute Of Technology, Berhampur was started in 2000 to impart degree courses in engineering and management under the Roland Educational & Charitable Trust. It is ISO 9001:2000 certification and affiliated to BijuPatnaik University of Technology. Admission to the B.Tech program is on the basis of the rank secured by them through Orissa Joint Entrance Examination (OJEE) and All India Engineering Entrance Examination (AIEEE). 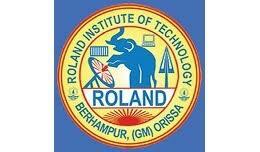 Are you Interested in Roland Institute Technology.